Our premium olive oil “Melia” is excellent for dressing salads, bread dip or cooking. With its full and fruity taste, it satisfies your taste buds while taking care of your health, since it is pure, organic and has a very low acidity. It can be ordered in 500ml bottles or 5-liter canisters. 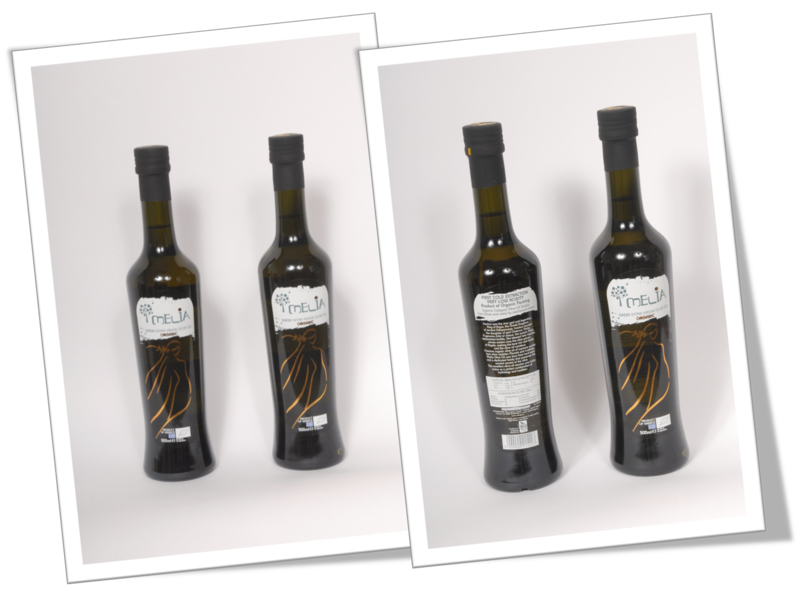 We chose to use dark-stained glass bottles, so as to protect the olive oil’s light-sensitive nutrients from prolonged exposure to light. If any extra information is needed, do not hesitate to contact us. We will be glad to answer any question.